MEMS Executive Congress brings business executives together to explore MEMS & sensors in commercial applications. 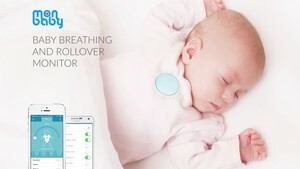 MonBaby is a baby monitor that snaps on a piece of child's clothing. 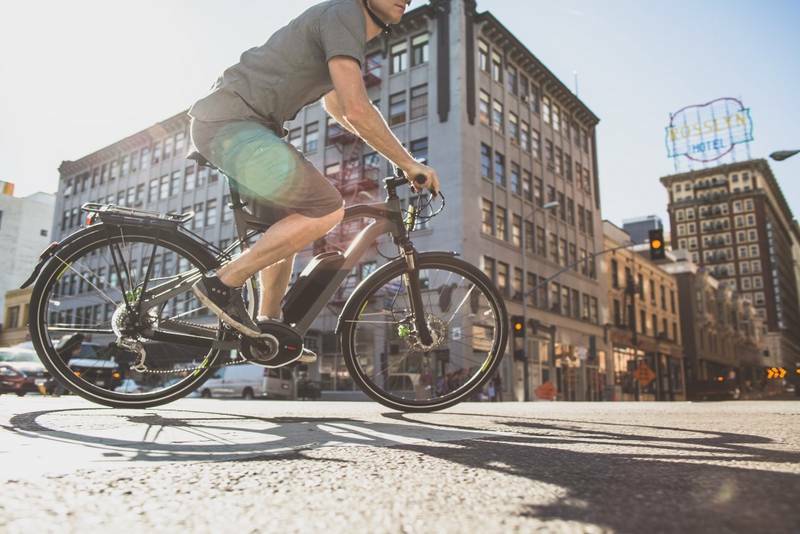 Bosch eBike Systems pedal-assist bikes measure a bicyclist’s torque, cadence and wheel speed 1,000 times per second. Horse Senses Shoes can detect joint problems, laminitis or lameness early enough for effective treatment, potentially saving a horse’s life. Voltafield makes an ultra-low power miniature magnetic sensor for e-compass and motion sensing in wearables. 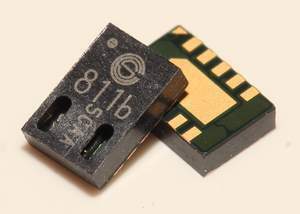 Cambridge CMOS Sensors CCS811 is a tiny ultra-low power device for assessing air quality in indoor environments. PITTSBURGH, PA--(Marketwired - Oct 8, 2015) - MEMS Industry Group (MIG)'s annual MEMS & Sensors Technology Showcase at MEMS Executive Congress® US 2015 (November 4-6, 2015 in Napa, CA) highlights some of the newest and most compelling MEMS/sensors-based applications and technologies on the market. MIG today announced the shortlist of finalists who will compete for the title of winner at this year's event. Anxious parents can sleep more soundly now that MonBaby® is on the scene. An award-winning baby monitor that snaps like a button onto any article of a child's clothing, MonBaby gives new parents peace of mind and helps them to sleep better knowing that they will receive an audible alarm on their smartphone if the baby rolls onto his or her stomach during sleep or stops breathing. Peddling up that big hill may soon get a lot easier with new cycling technology from the automotive and manufacturing industry giant, Robert Bosch GmbH, which is now working with various cycling brands to create electric pedal-assist bikes sold at independent bicycle shops throughout North America. Bosch eBike Systems boosts a bicyclist's human power with electric power at speeds up to 20 mph. 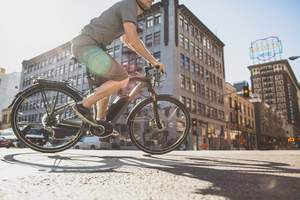 The core components that give Bosch eBike Systems cyclists that "tailwind" feeling are a Bosch microprocessor and three sensors that measure a bicyclist's torque, cadence and wheel speed 1,000 times per second. What's the new key component for e-compass and motion sensing in wearables? 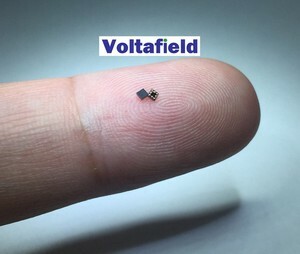 The makers of Voltafield's ultra-low power miniature magnetic sensor are hoping that their chip's Anisotropic Magneto-Resistive (AMR) sensor technology -- which reduces by 10x the power consumption of a traditional Hall magnetic sensor -- is the clear answer. Voltafield integrates 3-axis magnetic sensors and signal conditioning circuits on monolithic silicon together with Wafer Level Chip Scale Package (WLCSP) to form a software programmable 1.1mm x 1.1mm device. Have you ever wished that a horse could talk? Introducing a different breed of wearable wellness that saves horses lives, Horse Sense Shoes has developed an equestrian wearable that is making understanding horse health possible. Horse Sense Shoes feature non-invasive, Freescale Semiconductor MEMS multi-sensor devices, which are typically accelerometers and pressure sensors that can measure weight variations and motion patterns as informational indicators on the status and health of the horse. Residing under the horse's hooves, these MEMS sensors can detect joint problems, laminitis or lameness early enough for effective treatment, potentially saving a horse's life. Cambridge CMOS Sensors CCS811 offers a breath of fresh air in a tiny ultra-low power device. This metal oxide gas sensor co-packaged with a micro controller unit delivers a self-contained solution for assessing air quality in indoor environments. Whether embedded in a smartphone or integrated into a standalone device, CCS811 generates alerts to provide intuitive ways to evaluate air quality, opening up new application areas for improved health and wellbeing such as ambient air quality monitoring and breathe analysis in smartphones, tablets, wearables and Internet of Things (IoT) devices. Sponsored by Huawei Technologies Co. Ltd., MEMS & Sensors Technology Showcase will take place from 10:45-11:45 a.m. on November 4, 2015. Audiences will choose a winner, which MIG Executive Director Karen Lightman will announce at the close of MEMS Executive Congress US 2015 on November 5. Now in its eleventh year, MEMS Executive Congress is an annual event that brings together business leaders from a broad spectrum of industries: automotive, communications, consumer goods, energy/environmental, industrial and medical. It is a unique professional forum at which executives from companies designing and manufacturing MEMS/sensors technology sit side-by-side with their end-user customers in panel discussions and networking events to exchange ideas and information about the use of MEMS and sensors in commercial applications. Premier sponsors of MEMS Executive Congress US 2015 include: Platinum Sponsor EV Group; Gold Sponsors SPTS Technologies and Lam Research Corporation; Silver Sponsors Analog Devices and Freescale Semiconductor; Bronze Sponsors Applied Materials and X-Fab MEMS Foundry. Event sponsors include: Akustica, Bosch Automotive Electronics (AE), Bosch Sensortec GmbH, Coventor, Expertech, IEEE Standards Association (IEEE-SA), MEMS Journal, MEMS & Technology Exchange (MNX), PNI Sensor Corporation, Solid State Technology, Teledyne DALSA and Yole Développement. MEMS Executive Congress US will be held November 4-6, 2015 at The Meritage Resort & Spa, Napa, CA. For more information, please contact MIG via phone: +412/390-1644, email: info@memsindustrygroup.org or visit MEMS Executive Congress US 2015 at: http://us2015.memscongress.com. MEMS Industry Group (MIG) is the trade association advancing MEMS and sensors across global markets. More than 180 companies comprise MIG, including Analog Devices, Applied Materials, ARM, Bosch, EV Group, Freescale Semiconductor, GE, GLOBALFOUNDRIES, HP, HTC Corporation, Huawei, Goertek, Infineon, Intel, InvenSense, Jawbone, Kionix, Knowles Corporation, Lenovo, OMRON Electronic Components, Qualcomm Technologies, Inc., SONY Electronics, SPTS Technologies, STMicroelectronics, Texas Instruments and TSMC. For more information, visit: www.memsindustrygroup.org. MEMS Executive Congress, MEMS Industry Group and the MEMS Industry Group logo are registered trademarks of MEMS Industry Group. All other product and company names are trademarks or registered trademarks of their respective holders.